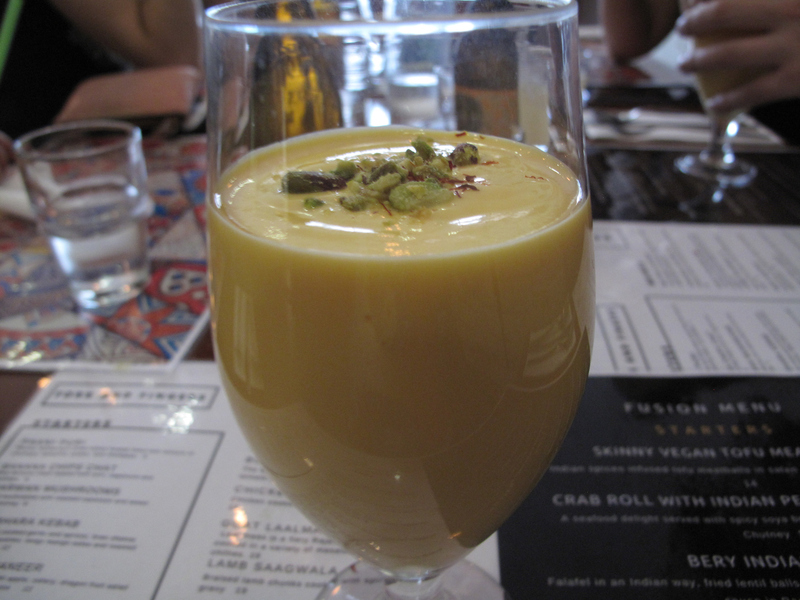 Consider The Sauce and one of its regular dining pals had been vaguely talking about a visit to Fork & Fingers to try its Indian fusion food for more than a year. In the end, though, it was with four other regular members of Team CTS that the deed was done. Did our experience of that dish, and the food in general, attain for us such polarised extremes? Perhaps it would’ve been preferable for it to have done so. Union Road, a few years back, was a regular haunt for CTS, but ebbs, flows and new horizons have subsequently taken us elsewhere. So it’s good to be back; I check out some of the eating spots and their menus before joining my dining companions. 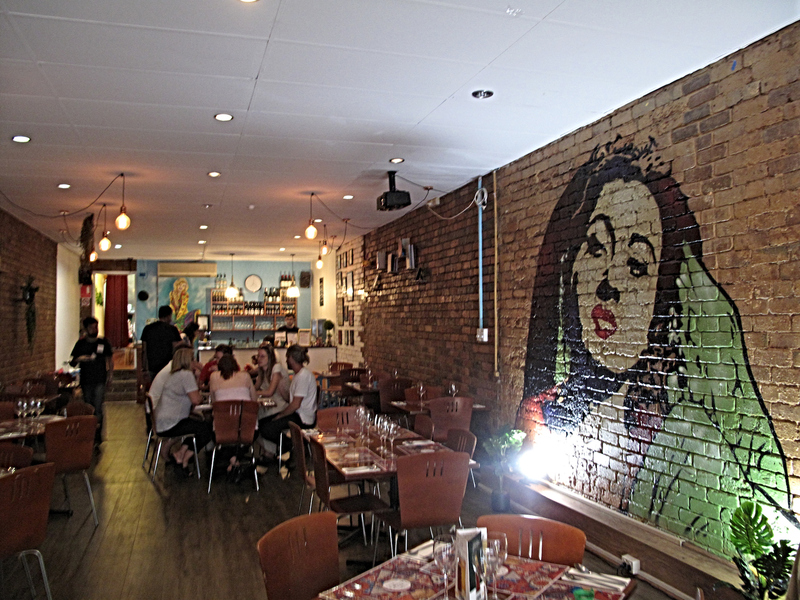 Fork & Fingers lives in a long room done out lovely, featuring exposed brick and all sorts of visual stimuli such as posters and murals. Half the menu here is dedicated to familiar Indian dare such as paani puri and beef madras. 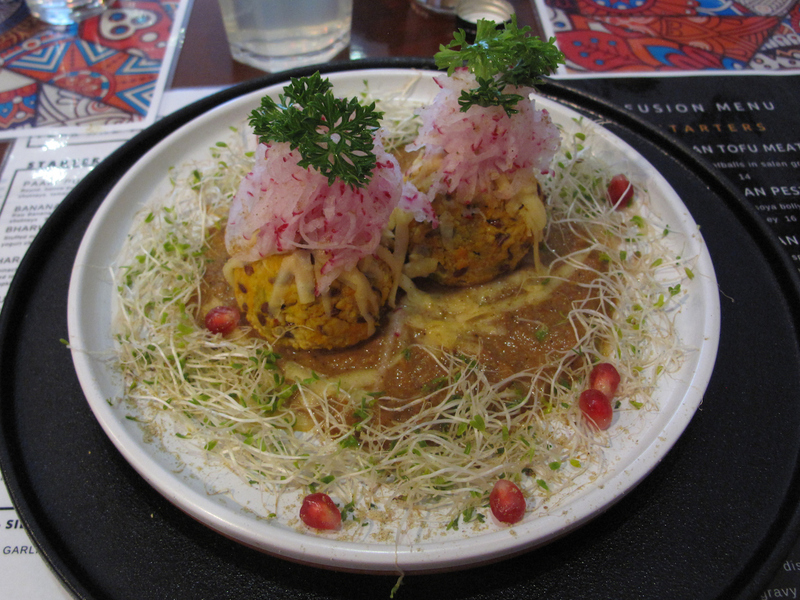 But the other half is dedicated to Indian fusion dishes – and it’s for them we’re here. We toss up various ways of going about ordering. My suggestion that two orders each of the five main courses would see us right is discarded. 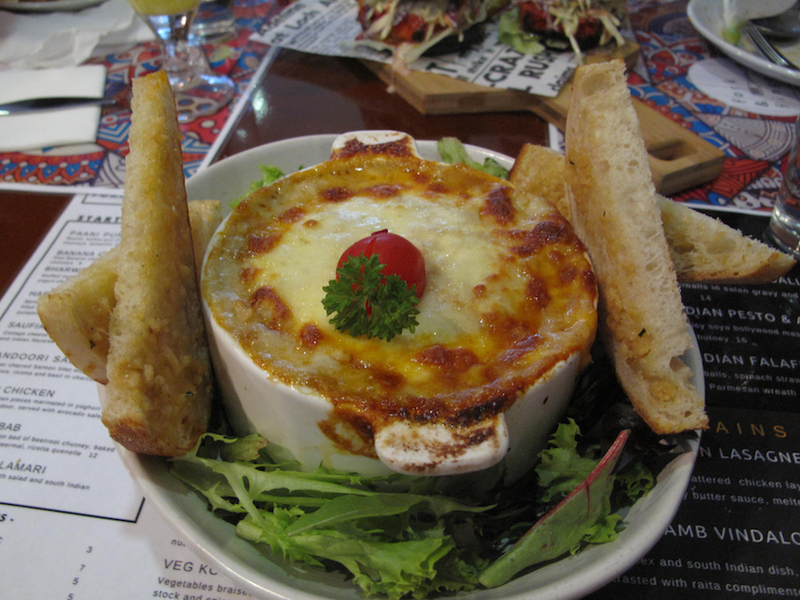 Instead, we order the whole menu – one each of the three starters and likewise the five mains. That turns out to be just right in terms of quantity for we five. The service is very good and I appreciate the willingness to up the lighting at our table so photography can happen. Skinny vegan tofu meatballs ($14) are two spheres of tofu and vegan cheese. They sit on a salan gravy, are topped by grated radish and are good in a crumbly way – though the flavours are low volume (this will become a recurrent theme). 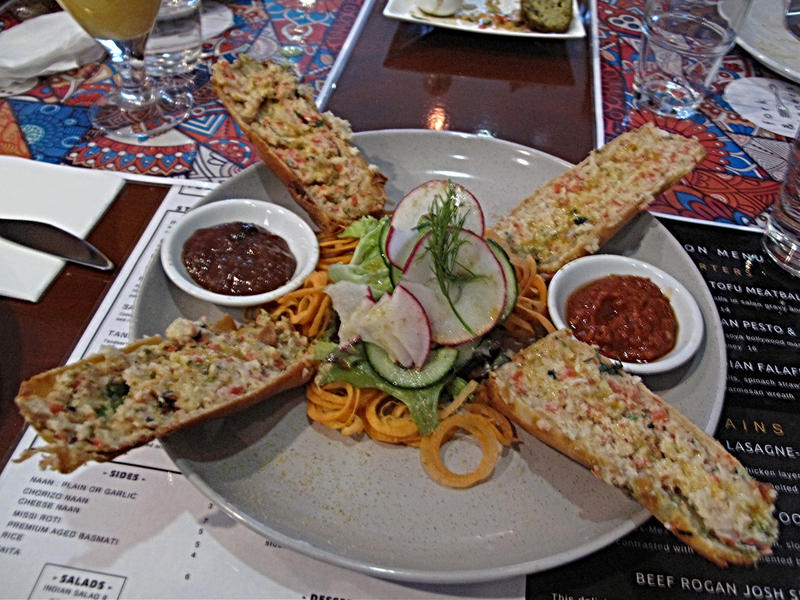 Crab roll with Indian pesto and asparagus ($16) is another good-looking dish. Going by the texture, we conclude there is real crab involved, though there is no discernible asparagus. The accompanying “spicy soya Bollywood masala chutney” and fruit chutney are fine, serving as a flavour boost for the mostly tasteless roll itself. 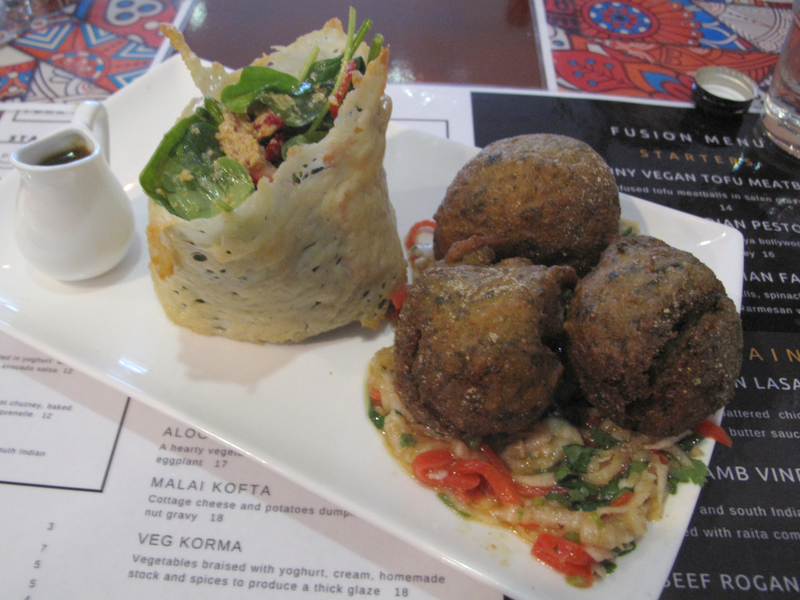 Bery Indian falafel ($12) taste less like anything with Middle Eastern roots and more like the pakora they resemble, with a rather doughy interior. They sit on a a zingy, gingery and lemony sauce/gravy that is excellent. A good “strawberry spinach salad with bold sesame sauce” sits alongside, housed in a parmesan bowl. 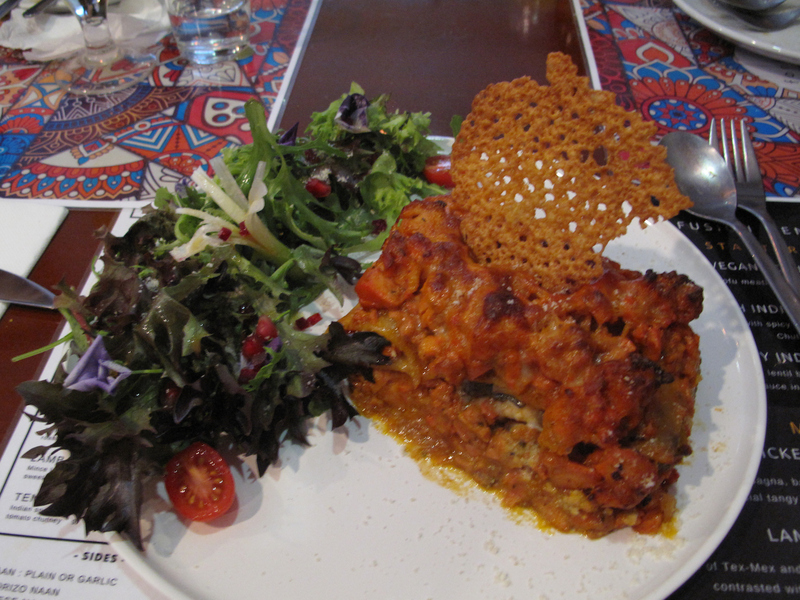 So what of the butter chicken lasagne ($20)? I find it a muddle of muted flavours that cancel each other out. 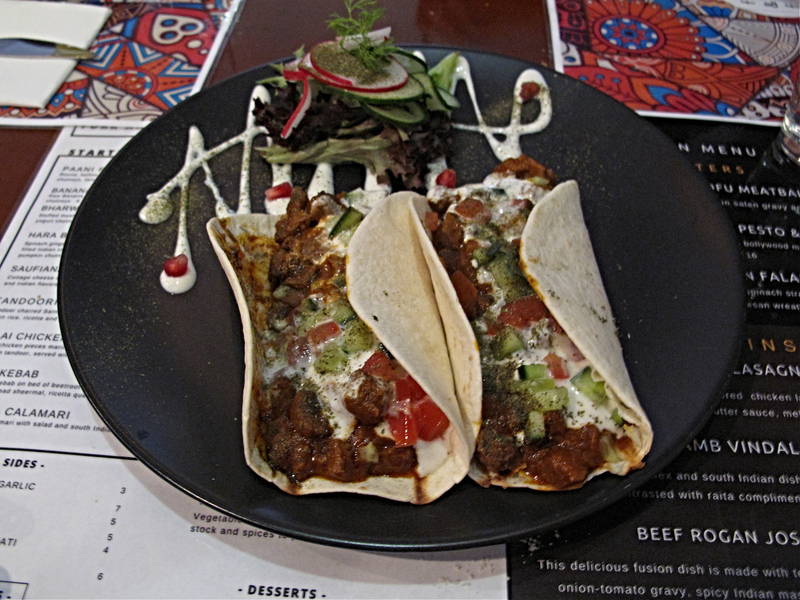 Lamb vindaloo tacos ($19) are simply that and good in a no-fuss way. Lamb rogan josh shepherd’s pie ($19), like the lasagne, falls short of expectations. It’s OK, but the lamb filling is rather dull. And the topping appears to have very little potato content; instead it’s very cheesy, strands stretching away from the bowl like mozzarella from a pizza. I’m no fan of paneer, so unsurprisingly the charms of the paneer tika sliders ($19) elude me. 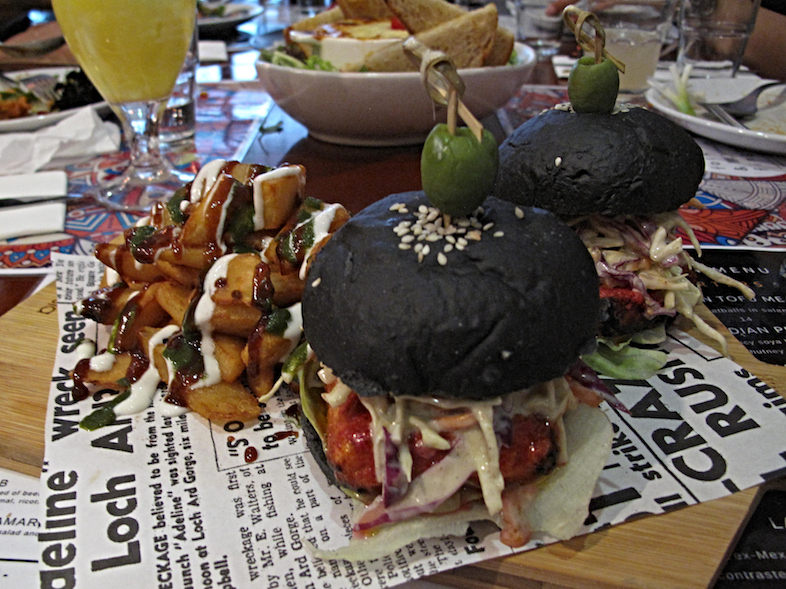 The cheese is stuffed between black brioche buns with coleslaw. The “Indian poutine” on the side is lacklustre. A lot of thought and work has gone into creating these dishes. But I can’t help but feel that it has been misdirected. All meal long I was crying out for more striking flavours, a much higher degree of zing, big hits of tongue-tingling excitement. We’ve had a lovely night of good friends catching up. Would any of us re-visit Fork & Fingers? Not for the fusion line-up. And the Tuesday night buffet for $22 sounds like it may be worth a look-see-eat. Some of it may seem a tad on the steep side – two tacos for $19? But it all evens out somehow, our meal – including one drink each – rounding out at a fine $30 per head. Writing this gives me no pleasure at all. If you cast around for reviews online – Google, Facebook – you’ll find it is very much a minority view. 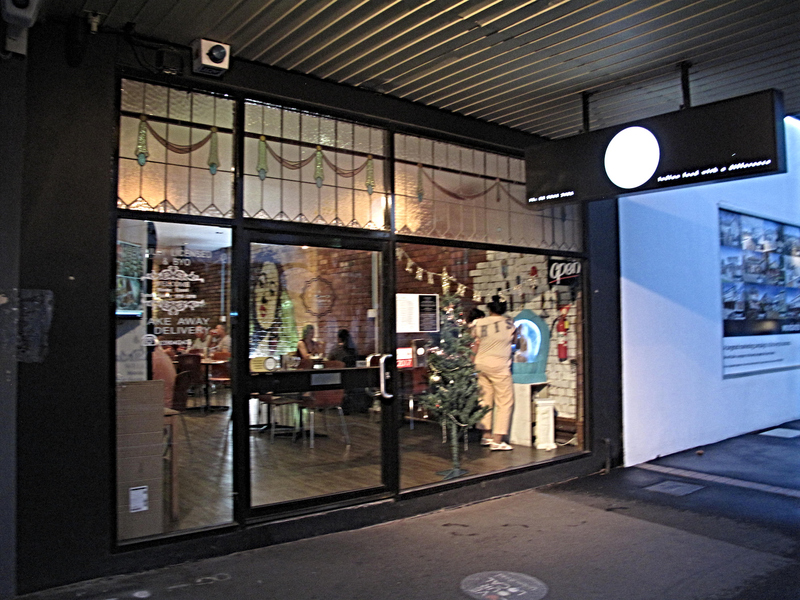 And this excellent review on another Melbourne blog provides quite a different perspective. Check out the Fork & Fingers menu – including menu – here.